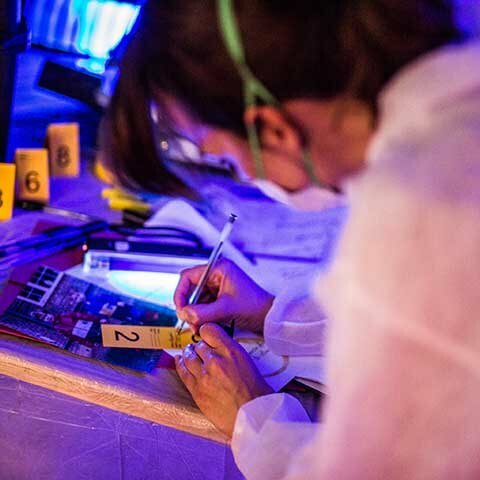 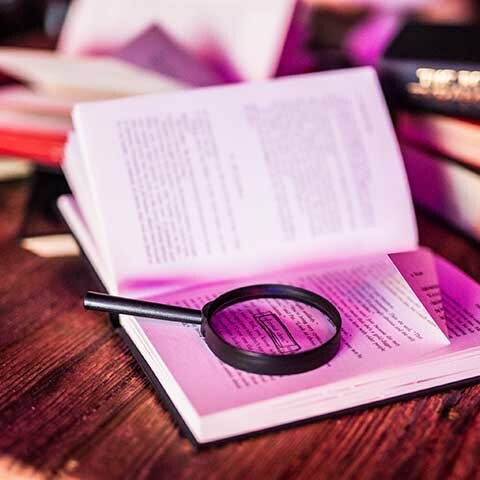 Our client, a fan of the TV series Sherlock, wanted to celebrate her 30th birthday in a slightly unusual way and turned to MGN Events to make it happen. 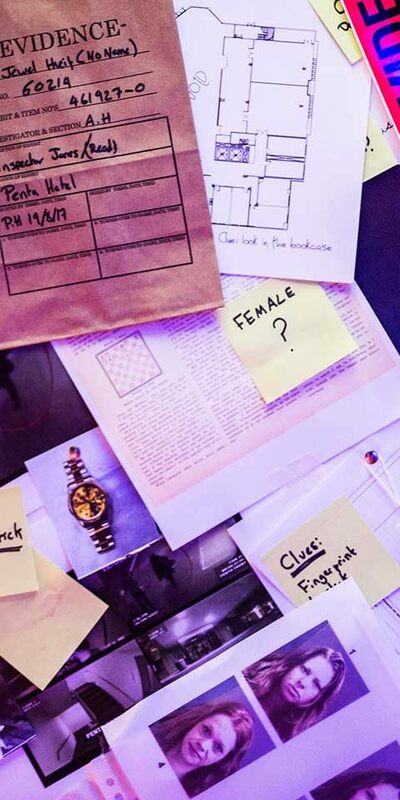 It wasn’t long before we came up with a plot, a curious and intriguing theft, a trail of clues and an invitation to guests to become a team of investigators. 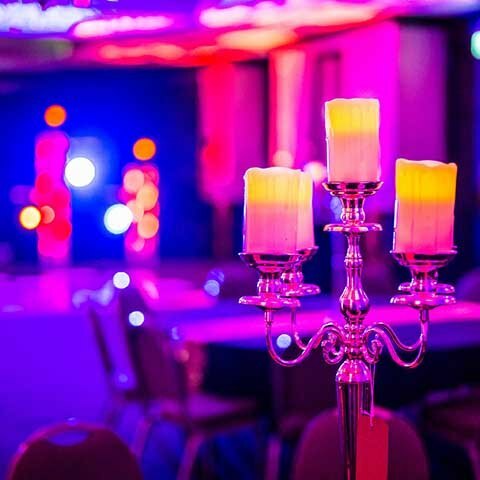 The party was hosted in Pentahotel, Reading. 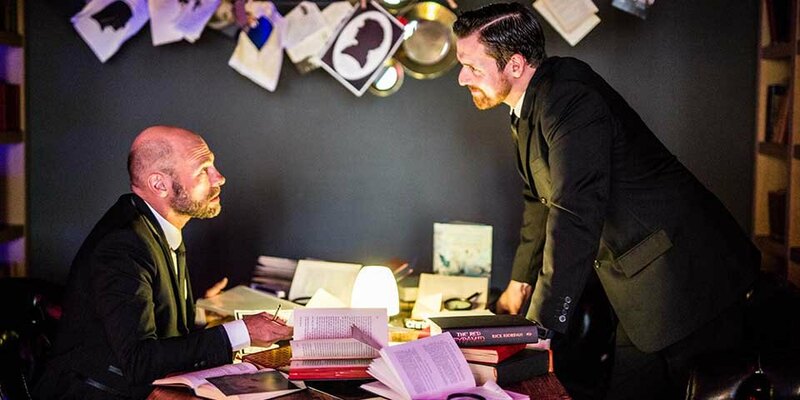 One room became Sherlock’s lodgings, where guests could enjoy arrival drinks and an initial search for clues amongst all the papers and books on Sherlock’s desk. 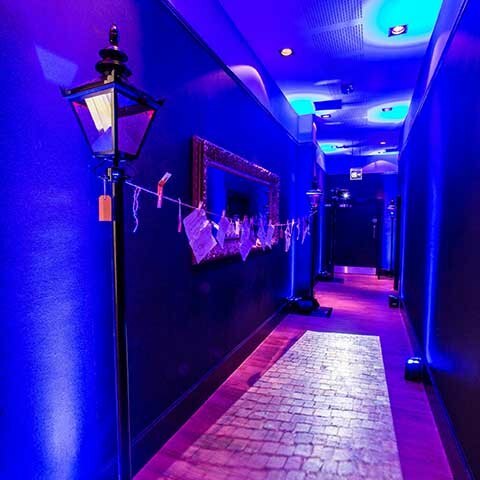 Moving to another room, they entered a study area and science lab where yet more clues were hidden, and a very standard corridor became one of London’s cobbled streets, complete with period lamp posts, floor projection, lighting and sound effects. 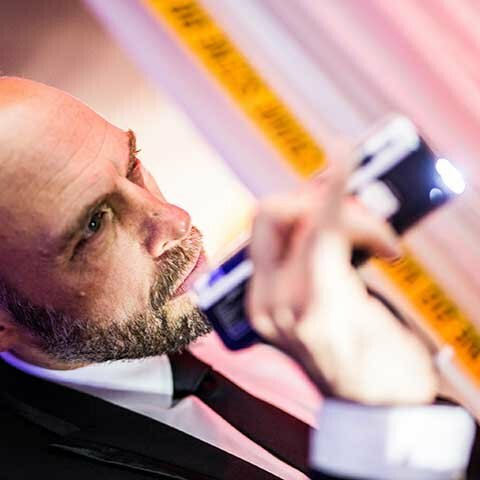 We ensured a completely immersive experience with actors interacting with the guests and keeping everything moving. 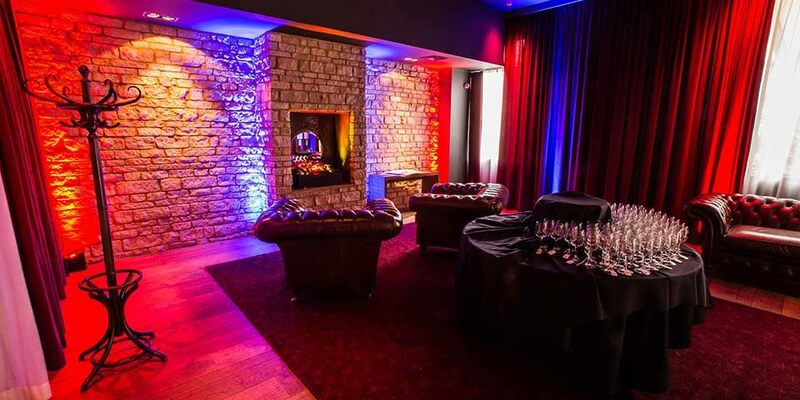 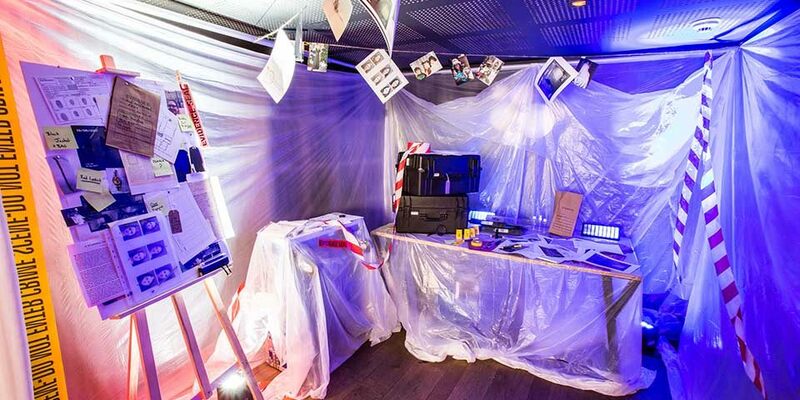 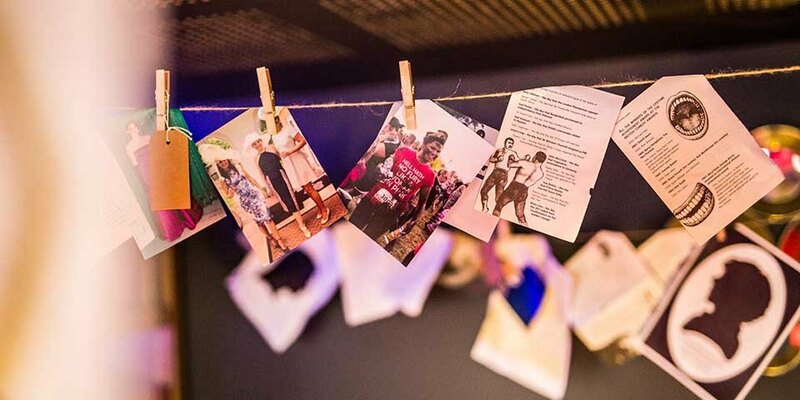 Once the mystery had been solved, guests could celebrate by taking to the dancefloor in the club area we had created. 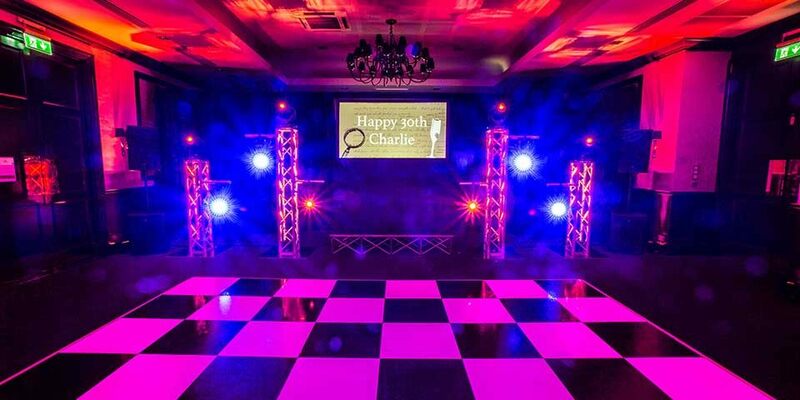 A fun and alternative birthday experience? 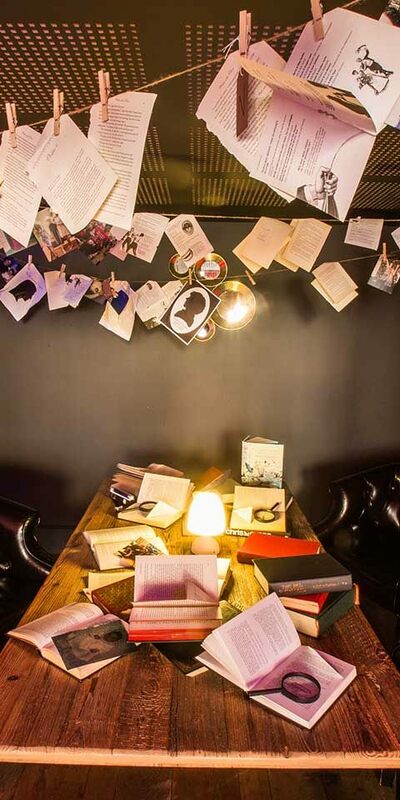 We think Doctor Watson would definitely declare it ‘elementary’!